The Royal Botanic Gardens, Kew, has been partnering with the Oak Spring Garden Foundation to digitize works by women botanical artists held in Kew’s archives. 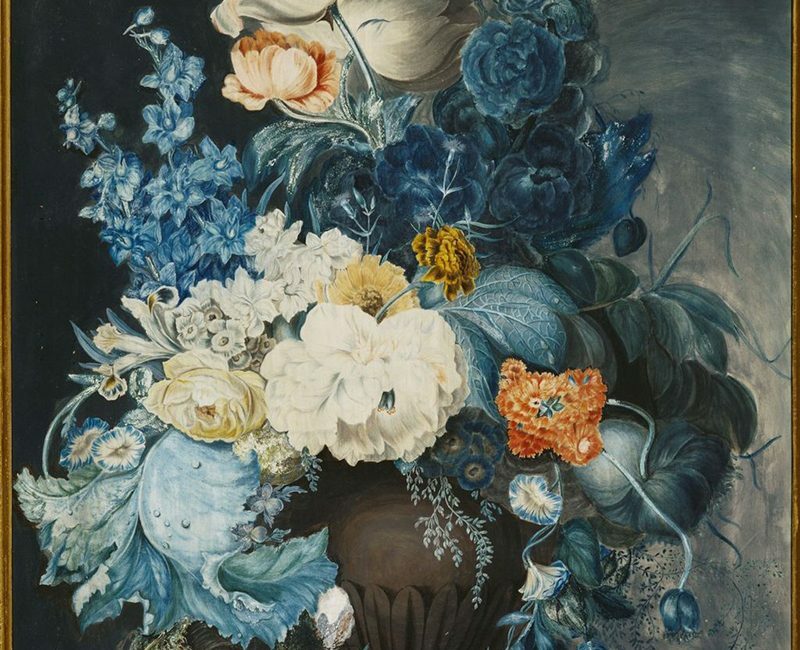 One of these talented but largely unknown artists is Margaret Meen – whose botanicals graced the walls of royal palaces and scientific academies. In fact, though little remembered or written about today, Meen’s botanicals and her prowess as an instructor of fledgling artists left a lasting impression on British botanical illustration. Historically, female botanists and botanical artists were rarely given as much credit as their male counterparts. Botanical art was often viewed as a pleasant pastime for women who had time on their hands whilst their husbands were at work, and the contribution that these women made to the advancement of scientific illustration was often undermined. To highlight the importance of these historically, scientifically and socially significant collections, Kew’s Library, Art and Archives department, in collaboration with the Oak Spring Garden Foundation, is in the process of digitising its out of copyright work by women artists, spanning several centuries. 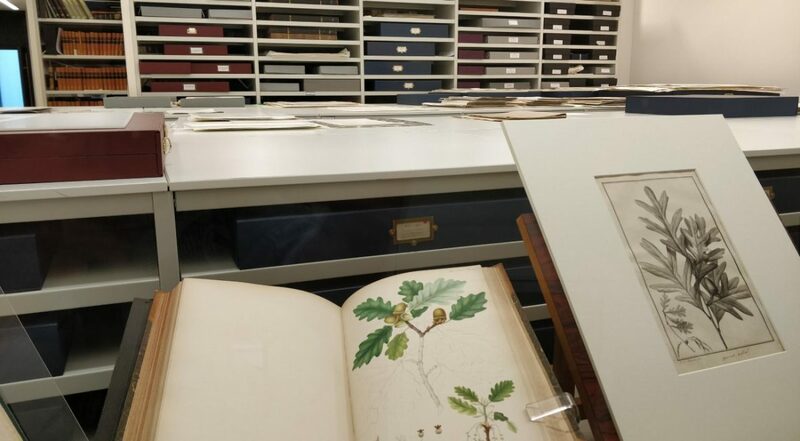 Kew holds over 200,000 prints and drawings, and this working resource is available to staff and visitors to the department, often providing a reference tool against preserved herbarium specimens. 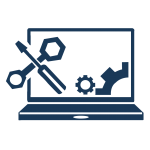 The ultimate aim of this collaborative effort is to ensure that high quality images of illustrations and their associated data is safely stored in digital format for future generations. How does a young woman create the most important record of Hawaiian flowers in the nineteenth century? Who helps her identify plants and find a London publisher? Why does she leave New Zealand for Niihau, the Forbidden Island? 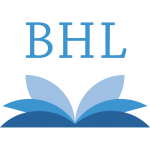 Thanks to a magnificent book in the Rare Book Collection of the Chicago Botanic Garden Library (and a little research), we can answer these questions. 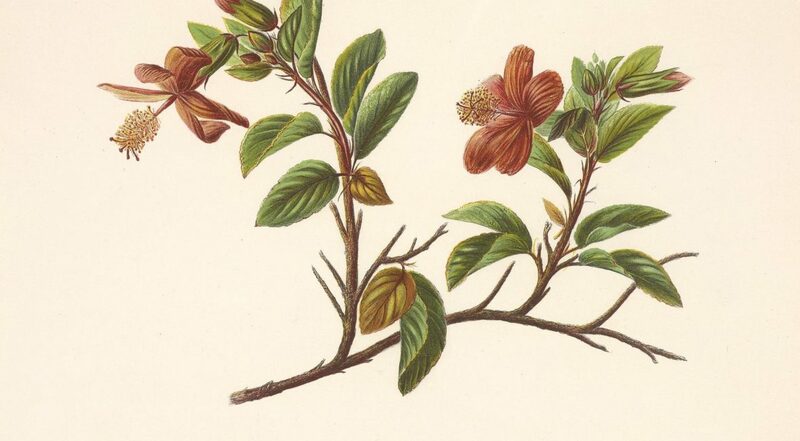 With 44 delightful chromolithographed plates, Indigenous Flowers of the Hawaiian Islands is no ordinary book. 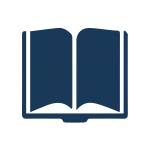 Its illustrations introduced the world to an exotic, endemic, and vanishing flora. Indigenous Flowers provides a marker to measure the impact of humans on the fragile ecosystem of two Hawaiian islands, yet another signal of the Anthropocene epoch. Isabella McHutcheson Sinclair (1840–90) was probably the most unexpected ambassador for plant conservation. Her breadth of botanical experiences in the Pacific, in both New Zealand and the Sandwich Islands (better known today as Hawaii), gave her a particular vision to recognize the effects of humans on local flora and fauna. Looking for a challenge? 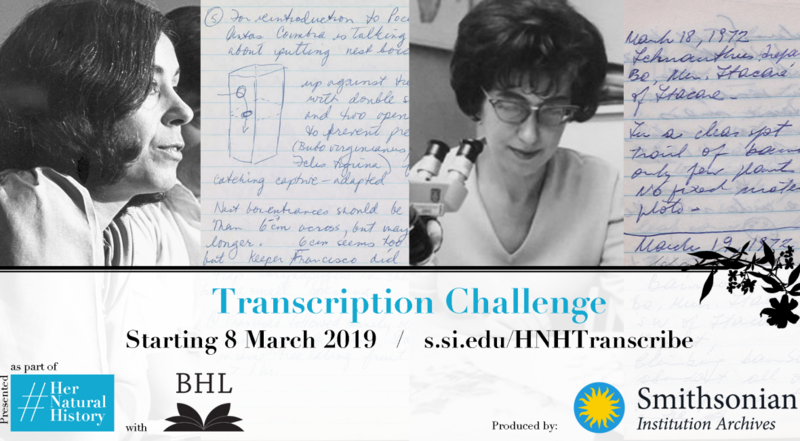 The Smithsonian Institution Archives and the Smithsonian Transcription Center are teaming up for a #HerNaturalHistory-themed transcription challenge. 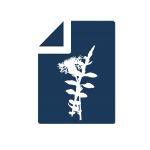 Starting today (8 March), help a team of #volunpeers transcribe field notes from conservation biologist Devra Kleiman and botanist Cleofé Calderon. Dive into observations of golden lion tamarins with Kleiman, who worked at Smithsonian’s National Zoological Park from 1972 to 2001. And head to South America with Calderón to collect grasses for Smithsonian’s Department of Botany. Women have made remarkable contributions to biodiversity research. From collecting specimens and serving as scientific illustrators to conducting and publishing research, authoring natural history books, and more, women have overcome many social and cultural obstacles and gender barriers in what has historically been a male-dominated field to help further our understanding of the natural world. While the work of many remained unacknowledged or under-appreciated during their lifetimes, mounting initiatives to encourage and support women in the sciences have facilitated a growing recognition of the achievements of women in natural history — both past and present. 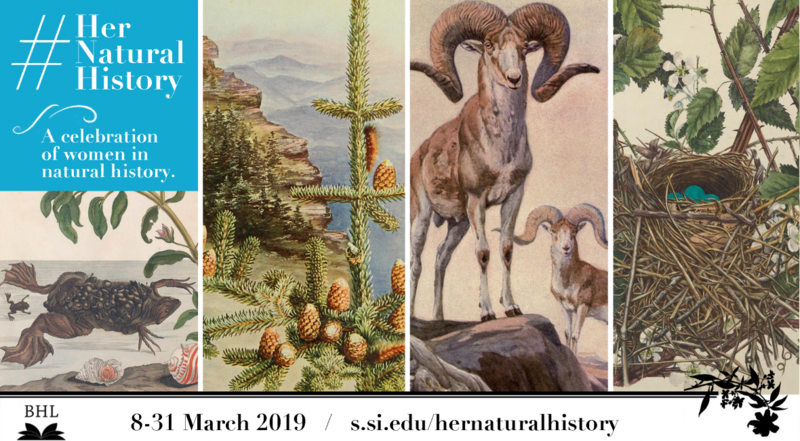 This Women’s History Month, we are excited to recognize and celebrate the contributions of women to natural history through an international social media campaign produced in collaboration with our partners — Her Natural History: A Celebration of Women in Natural History. 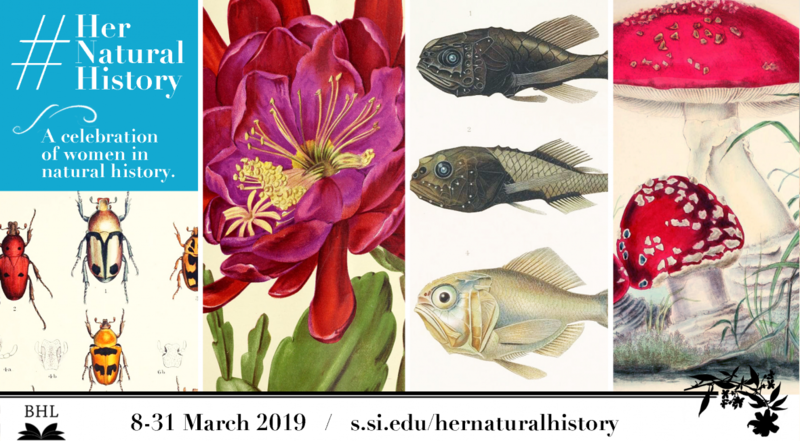 Kicking-off with an all-day social media blitz today, 8 March 2019 (International Women’s Day,) and continuing throughout the month, Her Natural History aims to increase awareness of and information about women in the biodiversity sciences.